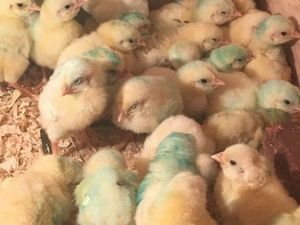 We have available 1 day old broiler chicks , 100 per box. 50kg bags of starter mash. 50kg bags of layers mash.